The evening however belonged to CD Projekt RED who picked up for Best Storytelling, Best Visual Design and Best Gaming moment for the Bloody Baron Quest. CD Projekt Red was named Studio of the Year. The main award was awarded to The Witcher 3 for Ultimate game of the Year which ended up giving the studio a total of 5 awards at the event. Other awards went to Steam who won the Best Gaming Platform award, beating the PS4 into second place. GTA V also came through winning four awards in total, the introduction of a first-person mode in the console and PC versions was named Innovation of the Year, with GTA V also named as Best PC Game and swiping the PlayFire Most Played Award. 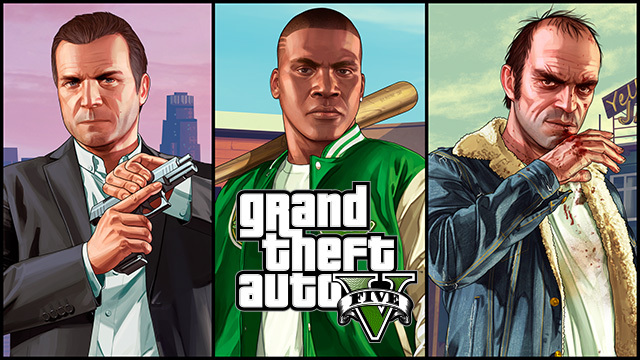 The game’s multiplayer mode, GTA Online, was proclaimed as the Best Multi-Player experience of the last 12 months. PS4-exclusive title Bloodborne, won the awards for Best Original Game and Best PlayStation Game divisions. Ori and the Blind Forest won the Best Audio and Best Xbox Game Awards. Popular Wii-U shooter Splatoon picked up Best Family Game and Best Nintendo Game. Mobile game Fallout Shelter was voted Best Mobile Game, alongside the console version of Fallout 4 was named as the Most Wanted Game – a prize previously claimed by The Witcher 3. Nintendo’s late CEO Satoru Iwata was honoured with the Joysticks’ Lifetime Achievement Award. Iwata passed away earlier this year at the age of 55. Kerbal Space Program took away Best Indie Game; YouTuber PewDiePie claimed the Gaming Personality Award and eSports Icon went to Counter-Strike GO’s Anders Blume. Nine million votes were cast in the judging process, which is decided by consumers.